‘More effective than UN’: Student climate strike draws thousands https://www.canberratimes.com.au/national/act/more-effective-than-un-student-climate-strike-draws-thousands-20190315-p514fx.html 16 Mar 19Students have skipped school and marched through Canberra in their thousands to demand federal government action on climate change. “We’ll stop acting like adults if you stop acting like children,” students told crowds gathered in Garema Place for the “School Strike 4 Climate” rally on Friday. Organisers estimate 150,000 Australian students flocked to 50 rallies across Australia on Friday, part of a global movement spanning more than 100 countries that began in Sweden last year with teen activist Greta Thunberg. Roads were closed off in parts of Civic as crowds marched to Glebe Park, holding high home-made signs declaring “Don’t burn our future” and “I can’t go to school today, I’m saving the planet”. While the first school climate strike in November last year drew attention, this time around students wanted action. They came prepared with a list of demands (which they chanted down the line of Prime Minister Scott Morrison’s personal phone in Canberra) – an end to new fossil fuel projects, including the controversial Adani coal mine, and a shift to 100 per cent renewable energy in Australia by 2030. George, 10, explained why he chose to skip school as he waited for a squadron of classmates cycling over from North Ainslie Primary. “The earth is warming up and if adults aren’t going to do something about it, we sure are,” he said. Parents, grandparents, activists and academics also joined the march, including Australia’s former chief scientist Penny Sackett. The reality is that the approach taken by adults so far isn’t working,” Professor Sackett said. Fourteen-year-old Maanha Manzur was one of about a dozen student organisers behind the event, coordinating security, land permits and public liability insurance in between classes. She said the ACT turnout had greatly outstripped the first strike, which saw about 500 students brave the rain outside Parliament House. More than 3500 people poured into the city for Friday’s rally, she said, and at least 2000 of them were students. Some said they had defied their schools by attending but many said they had been supported to head along, with parental permission. Most scoffed at criticism from federal ministers, including the prime minister’s calls for students to focus on learning not activism. “Maybe they should actually do their job if they don’t want us striking,” one student said. Also among the crowd were federal candidates Tim Hollo from The Greens and Labor’s Alicia Payne, as well as ACT Minister for Climate Change Shane Rattenbury. Mr Rattenbury said he was inspired by the strikers and suggested those still denying the science of global warming should go back to school themselves. Education Minister Yvette Berry also backed the protest as “learning in itself” and said students would not be penalised for attending. But shadow education spokeswoman Elizabeth Lee questioned who was really behind the strike and suggested skipping school was not the best way for students to get their point across. “I would hate for them to have been used as a political pawn in a matter as serious as climate change,” she said. On Friday afternoon, students shrugged off the suggestion, collapsing gratefully in the shade of Glebe Park after months of hard work. “We do have our own minds,” one laughed. Can a growing city cut carbon emissions to zero? https://www.canberratimes.com.au/politics/act/can-a-growing-city-cut-carbon-emissions-to-zero-20190118-p50s9m.html,By Penny Sackett, Frank Jotzo & Will Steffen, 19 January 2019 How can Canberrans keep cutting their greenhouse-gas emissions as their city grows quickly and spreads out? And how will the ACT benefit from going low-carbon? Having adopted stringent emissions targets for 2025 onwards, these questions are becoming front of mind for the ACT government. The new targets include net zero emissions on or before 2045, with interim targets of 50 to 60 per cent emissions reduction by 2025; 65 to 75 per cent by 2030; and 90 to 95 per cent by 2040, all compared to the ACT’s emissions in 1990. The 2020 target, which has been in place for several years, is a 40 per cent reduction. Meeting an emissions trajectory like this would mean the ACT does its fair share to cut greenhouse-gas emissions in line with the Paris agreement of holding global warming below 2 degrees. The ACT would help lead the way in Australia by respecting the boundaries set by its “carbon budget”, and demonstrating how to make deep reductions in an urban economy. As one of Australia’s richest communities, we should find it easier than elsewhere to invest in the necessary change. And taking a lead in climate-friendly modernisation helps attract highly skilled people to Canberra, which is what is needed for continued economic success in the ACT. Canberra has a national, and growing international, reputation for innovation in the low-carbon economy, and ACT energy and climate policy programs have already attracted global renewable-energy companies. The ACT is on track to have 100 per cent of its electricity sourced from renewables by about 2020. This will make possible the targeted 40 per cent reduction in emissions (as they are accounted in the ACT). Carbon-free power supply gives us emission-free options for other sectors, notably transport – electric cars and buses, as well as light rail – and the use of electricity instead of gas for heating, cooking and in industry. This is critical because transport and natural gas use account for the lion’s share of Canberra’s direct emissions outside of electricity generation, at about 65 per cent and 20 per cent respectively. Penny Sackett, an honorary professor at the ANU, is a former Australian chief scientist; Frank Jotzo is a professor at the ANU’s Crawford school of public policy; and Will Steffen, an emeritus professor at the ANU, is on the Climate Council of Australia. The authors are on the ACT Climate Change Council, an independent statutory body that advises the ACT government on emissions targets. This is the first of several articles exploring how Canberra can transition to carbon neutrality. A National Energy Guarantee could be bad news for the ACT, Canberra Times, Katie Burgess , 24 Nov 17, A National Energy Guarantee could risk years of ACT energy policy and force Canberrans to pay more, ACT climate change minister Shane Rattenbury has warned. The Greens minister met with his state and federal counterparts at the COAG Energy Council meeting in Hobart on Thursday and Friday. Federal energy minister Josh Frydenberg had intended to ask state and territory leaders to give in-principle support to the energy guarantee, but instead sought approval to undertake further analysis of the proposal. But Mr Rattenbury said he was concerned that the guarantee would “stymie” new sources of renewable energy, the emission targets were too low, the agreement too short and the modelling was tailored to “inflate the apparent cost-savings”. 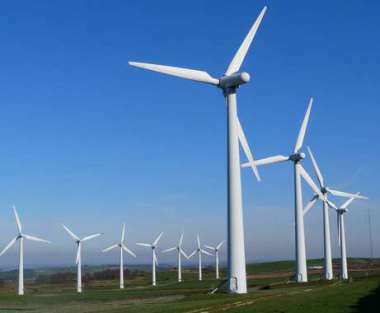 He also said an “artificially suppressed” wholesale price would impact on the contract-for-difference model the ACT used as part of its plan to go 100 per cent renewable by 2020. Through its reverse auctions, ActewAGL pays each large-scale renewable energy generator the difference between their feed-in tariff and the current wholesale price per megawatt hour. However when wholesale prices are higher than the feed-in tariff, the generator pays ActewAGL and the savings are passed onto customers. That model has insulated Canberra customers from future price rises. But if the wholesale price was pushed down, Mr Rattebury said the ACT could pay more. “We are concerned it will suppress artificially prices in the wholesale market and we believe the wholesale market is an effective means of driving good energy outcomes so the transition across to a certificate-based approach we think distorts the price signalling effect the labour wholesale market is designed to operate,” Mr Rattenbury told a stakeholder meeting. The federal government chose not to adopt the Clean Energy Target recommended by Chief Scientist Alan Finkel, instead opting for a National Energy Agreement which would require energy retailers to meet a reliability and emissions guarantee. The reliability guarantee compels retailers to make a proportion of electricity available from “dispatchable” sources like batteries, hydro or gas, that can be switched on when demand is high. The emissions guarantee requires retailers to cut their greenhouse emissions by 26 per cent on 2005 by 2030. The energy guarantee won’t apply to Western Australia and the Northern Territory, meaning those two jurisdictions will have no federal emissions reduction policy after the Renewable Energy Target is scrapped in 2020. The ACT and South Australia called on the federal government to model the cost of a Clean Energy Target and a Renewable Energy Target as well but they refused. Mr Rattenbury that was “deeply concerning”. “We know the National Energy Guarantee is the fourth or fifth best choice because that’s what the backbench watered it down to. Canberra climate action on show at UN talks in Germany, Canberra Times, 19 Nov 17, Tom McIlroy The role of cities like Canberra in affecting progress against global warming has been considered in the latest United Nations climate talks, with experts welcoming “a groundswell” of innovation. World leaders including German Chancellor Angela Merkel, French President Emmanuel Macron and environment advocates gathered in the former German capital of Bonn last week for the 23rd conference for signatories to the UN Convention on Climate Change. University of Canberra chair of Urban and Regional Planning Barbara Norman said a key message from the talks had been how mayors, governors and regional leaders could work together to create large-scale change, boosting wider efforts on a national and international basis. Professor Norman said powering cities with 100 per cent renewable electricity, building integrated transport systems, designing green precincts and environmentally sustainable developments were key to meaningful progress………. Investing in a brighter energy future for Australia http://www.examiner.com.au/story/4860382/investing-in-a-brighter-energy-future-for-australia/?cs=97, David and Lainie Shorthouse, 20 Aug 2017, We’re backers, not bystanders. Like many, we’re concerned about climate change – and want to play our part. That’s why we’re among the 867 people who invested in what will be Australia’s largest, community-owned solar farm. SolarShare is building its flagship project, a one-megawatt solar farm that shares land with a vineyard, in the Majura Valley in Canberra. It’s the first of hopefully many solar farms and projects owned by the community. SolarShare has been funded by people like us, who will receive a good return on our initial investment as the electricity it generates from the sun is sold. At the same time, the farm will power 260 homes, reducing our reliance on polluting fossil fuels. While governments can be slow to act, individuals, communities and businesses across Australia are finding their own solutions. The transition to renewable energy has started – and it’s exciting. But it needs to happen faster if we are to leave this place better, cleaner and safer for our grandchildren. None of us can do everything, but we can all do something. As soon as we could, we put solar panels on our roof making our house somewhat of a novelty in the neighbourhood. These days, solar covers 21 per cent of Australia’s suitable rooftops. A couple months ago we bought an electric car, which we fuel for free with the rooftop panels. We were amazed to see that India, Britain, France and Norway have announced plans to ban the sale of new petrol and diesel cars. Until governments pick up the pace, individuals will have to work together. Being part of a larger project, like a community solar farm, is a great way to be part of an exciting new vision. David and Lainie Shorthouse are SolarShare investors, and Canberra residents. Labor states have ramped up pressure on the Turnbull government to adopt a clean energy target but refused to lift bans on gas exploration, triggering warnings from industry leaders that time was running out for a national ­approach to lowering electricity costs and securing supply. The Australian Energy Council, representing major gas and electricity businesses, said brokering a national and bipartisan CET was fundamental to overcoming the energy crisis. Key Finkel recommendations agreed to at the Council of Australian Governments Energy Council meeting in Brisbane include an obligation on intermittent sources of generation such as wind and solar to provide appropriate levels of backup power to guard against blackouts; a requirement for large generators to give at least three years’ notice before closing; and the establishment of an energy security board to scrutinise the National Electricity Market’s health, security and reliability. The states also backed the federal government’s decision to abolish the Limited Merits Review — a tool the government says has been used by power companies to increase electricity ­prices — and accelerate the timetable for gas pipelines reform. The price and availability of long-term electricity retail contracts will be published so big consumers can understand the market they are competing in. • How Daylesford’s windfarm took back the power, Guardian, Michael Slezak, 30 Mar 17, As Australia remains mired in a broken debate about the supposed dangers of renewable energy, some states and territories are ignoring the controversy and steaming ahead. Pilot program will allow homeowners to tap into a network of ‘virtual’ power stations made up of smart grids of rooftop solar and batteries, Guardian, Bianca Nogrady, 24 Feb 17, With that challenge in mind, in 2016, GreenSync got together with electricity network operators United Energy and ActewAGL, energy tech startup Reposit Power, and energy retailer Mojo under the auspices of the Australian Renewable Energy Agency’s A-Lab; an initiative that the Arena chief executive, Ivor Frischknecht, describes as an “innovation sandbox”. Arena contributed $450,000 towards the total project cost of $930,000. The ACT government hopes a funding boost to the local renewable sector will take the territory one step closer to a green future. Two new grant programs launched by Climate Change and Sustainability Minister Shane Rattenbury aim to shape the ACT as an export-oriented hub for renewable energy innovation and investment. The new Direct Grants Stream will provide grants of more than $30,000 to businesses developing renewable technologies. The Innovation Connect Renewables Stream will feed extra cash into the ACT government’s existing Innovation Connect grants program, allocating $120,000 to the development of innovative products and services in the renewable sector in 2017. Mr Rattenbury said the programs would be financed from the $12 million industry-funded Renewable Energy Innovation Fund. He said the ACT was on track to be fully powered by renewables by 2020. “The grants announced today are designed to grow the renewable energy industry, help organisations take the next step in commercialising their technology and reduce deployment costs of renewable energy and energy storage,” he said. Jobs growth in the ACT renewable energy sector in the past six years was 12 times faster than the national average, a report into the territory government’s action on climate change revealed. Solar energy park is seeking co-operative venture with sheep farming! Maoneng Group, who started building the solar farm in March after winning a tender in the ACT government’s first large-scale renewables reverse auction, has this week launched its own, rather unusual, tender – for a flock of sheep. The company is seeking expressions of interest for a farmer or community group to graze 100-150 head of sheep within the Mugga Lane Solar Park – an area of around 46 hectares at the intersection of Mugga Lane and Monaro Highway in the ACT. Maoneng’s Shaun Curran said the deal, which would be a quid pro quo “cost neutral” affair, would provide a local farmer or community group with free and secure grazing, while for the Solar Farm, it would provide free lawn mowing and reduce the site’s fire risk……. Canberra’s renewable energy facilities host open day, Canberra Times, Stephen Jeffery , 5 Dec 16 Canberra’s renewable energy providers threw their doors open on Saturday to showcase the ways the ACT and southern NSW are helping to reduce carbon emissions. The Renewable Energy Trail, celebrating 2016 Renewable Energy Day, took Canberrans and tourists to sites across the ACT and surrounding areas of NSW. The day kicked off, under appropriately sunny skies, at the Mount Majura Solar Farm, which began operations this year. A bus took visitors to Canberra Institute of Technology’s Renewable Energy Skills Centre of Excellence and Renewables Battery Test Centre, before moving on to the “Big Dish” at the Australian National University, a display of electric vehicles in Tuggeranong, and Googong Dam’s mini hydroelectric facility. A separate bus ventured into NSW, touring the Woodlawn Bioreactor and wind farm. ACT Environment Minister Mick Gentleman and Climate Change Minister Shane Rattenbury officially opened the event…..The Renewable Energy Trail was held in the same week a report found the ACT well ahead of other Australian states and territories in emission reduction targets.